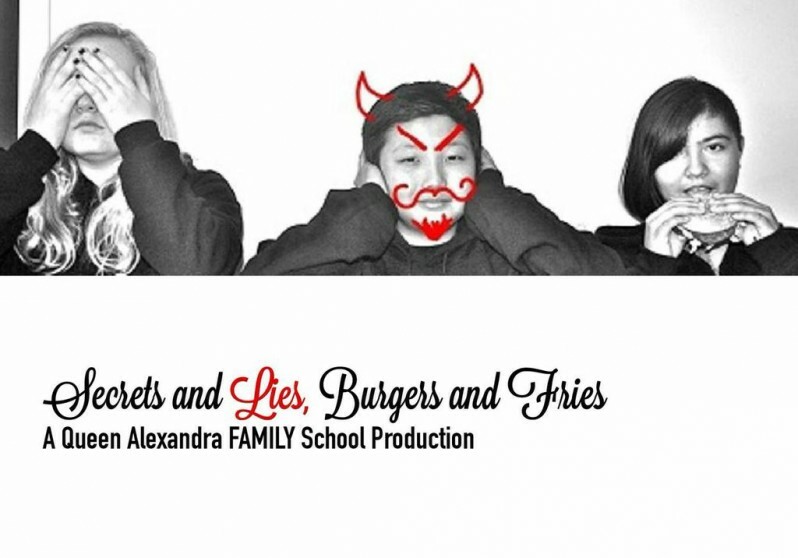 Join us for an original play by an ensemble of Grade 6/7 students from Queen Alexandra School. As participants of the Vancouver Biennale BIG IDEAS Education Program, students inquire into the BIG IDEA Everything Changes: how culture, matter and people change and how young adults can become agents of change in the world around them. Through infusing areas of the curriculum with the arts throughout an inquiry process, the students created a play that they hope will challenge the audience to examine what they believe about the people around them. The students will use music, movement, dance, drama spoken word and multi-media elements to break the silence and speak out about mental illness, immigration, residential schools, and other forms of social bullying. Recommended for students Grade 4 and up. Contact Queen Alexandra School : Jamine Hickman at 604-713-4599 or email jhickman@vsb.bc.ca to reserve your seats now! Admission is FREE. A $1 donation to the Art Therapy Fund to support children’s emotional wellness will be appreciated. We will accept checks made payable to Queen Alexandra FAMILY School. Queen Alexandra School gratefully acknowledges Katanni Sinclair, Practicum students from Native Education College, Mary Jane Joe, Shelley MacDonald, Amelia Wilson, Rup Sidhu, CJ Kumar, Patricia Sarazin, Vancouver Biennale, York House School Tutors, Van Tech Secondary, Christina Bucci, Jamine Hickman, Darcy Johnson and Arts Umbrella.